A page dedicated to our team, guests and those we encountered on our trips that we have lost. Friends and Family. It is not just a marketing term for us, and that in and of itself brings both joy and heartbreak. 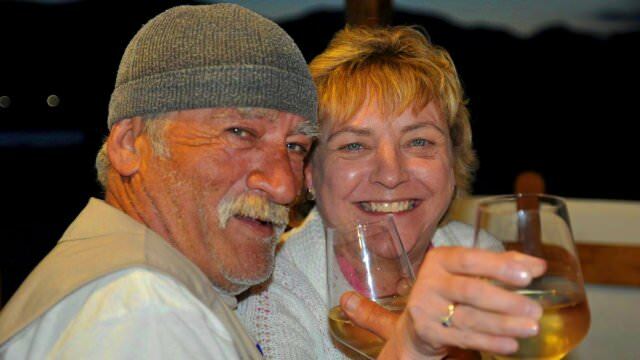 All over our website you see us having so much fun and laughter, but to be honest, that laughter turns into tears of loss when we lose someone that became part of our family. This page serves as our memorial to them, and we all pray they truly rest in peace, having known they were loved. The real-life "Popeye The Sailor." From the very beginning of our Sicily trips, it was all about Ivan and his Uncle Scipio. Scipio would co-host all of our trips, and with his broken English would become dear to every one of our guests, bar none. From his raspy voice, to his incurable laughter, Scipio was that "salty character" that defined "salt of the earth." He would teach us the local slang, and sing with us, dance with us, and literally become a part of who we are. To the island of Favignana, he was a fixture that all knew and loved, and to us, well... Scipio was the one that had us rolling on the floor in laughter one moment, then the next moment had words of deep wisdom that would be etched forever into our minds. While Scipio was unmarried with no children (officially, at least), he was married to the sea. He had been a passionate diver all of his life, had traveled the world, and truly should have written a book, as he was something of an ocean version of Indiana Jones! Sadly, he is no longer with us, but he will forever be a part of us. 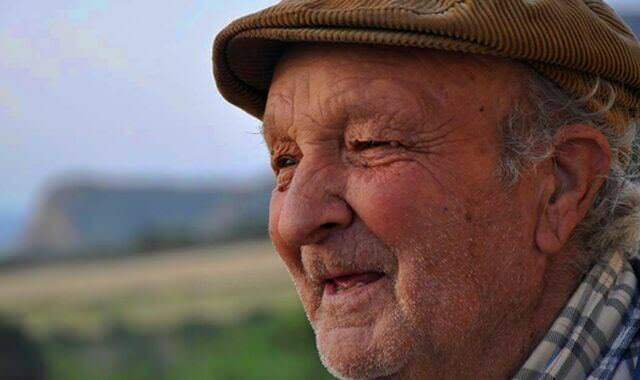 Pino, Pino, Pino... That smile was always there, no matter what. 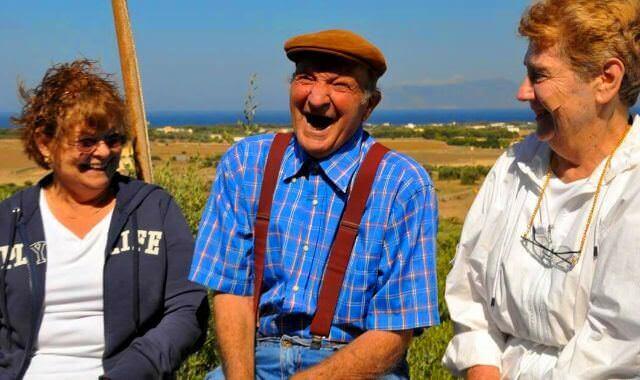 Pino was a local shepherd on the island of Favignana. In our first years there, we would always spend an afternoon with him making ricotta cheese, and he would regularly come to our Thursday night "Grigliata." It became something of a problem at home for him, because his wife saw so many foreign women paying him so much attention, that jealousy reared its ugly head. Nonetheless, that was taken care of, and he went on to become not only a fixture on our trips, but someone we all loved and adored. For the CDV team, it was a highlight just knowing we were going to get to spend some time with Pino!! Pino, we promise to always add a dash of sea salt to our Ricotta in memory of you.